If compliance isn’t on your payments radar, it might be time to read up on the finer points of PCI DSS. 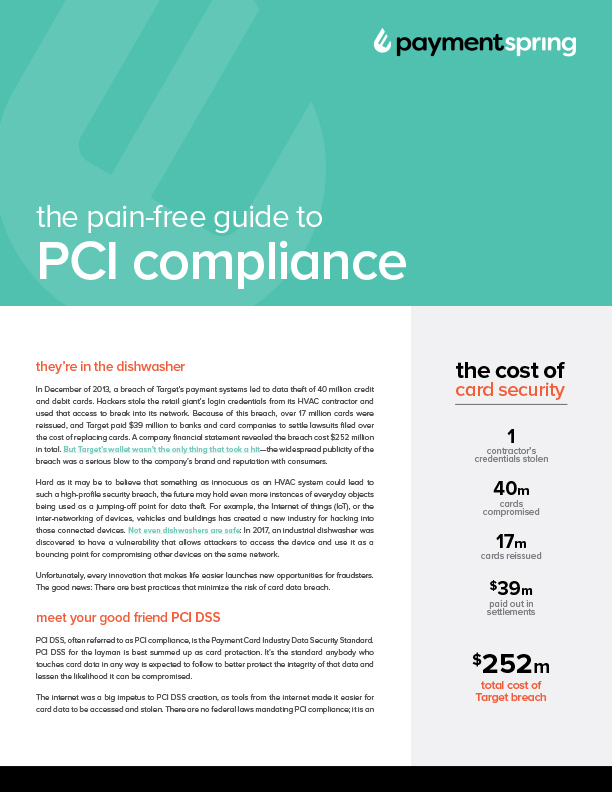 We totally get how daunting compliance can be, but we’ve made it pretty easy reading in our guide to PCI DSS. No jargon, just plain English that gives you the rundown on PCI compliance and how it impacts your business or organization. And all for the low, low price of zero dollars. You’re just four tiny form fields away from everything you need to know about PCI compliance. Download our free white paper, and if you’ve still got questions, don’t hesitate to reach out to us at 844.348.5702 for more ways we can help reduce your compliance scope.